If I had a nickel. This is a common conversation starter when a customer comes into the garden center looking for a little landscape help. What once was a hot, sunny yard is now a shaded, patchy lawn. Sometimes the best thing to do is to give up the lawn and create a shade garden. 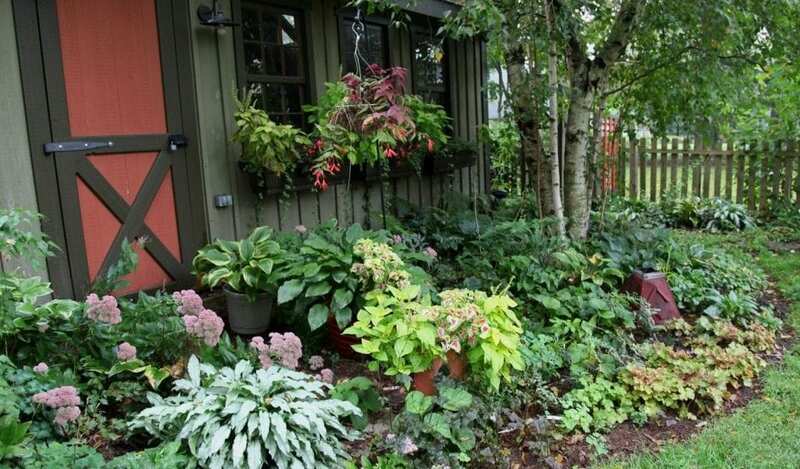 Like all landscapes, you want a combination of foundation plantings that are evergreen and shade perennials for a colorful pop of seasonal interest. Here is a list for each category of some of my favorites. 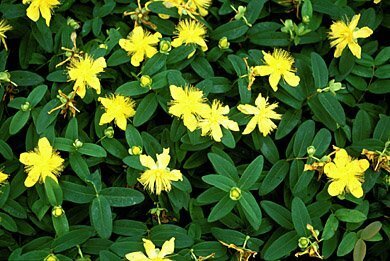 This EVERGREEN shrub produces beautiful yellow flowers and get’s to be 2-3 feet both ways. Fantastic in front of low window sills with it’s beautiful mounding habit. Hard to find, but we grow several each year! Did mention it was blooming evergreen?! 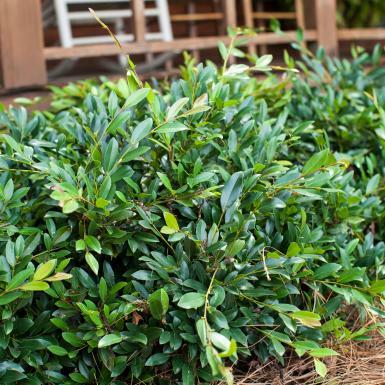 This is a fantastic shade shrub that brings an interesting texture to foundation plants. It’s long, slender leaves stay on year round. This guy grows about 4 feet tall and 5-6′ wide. 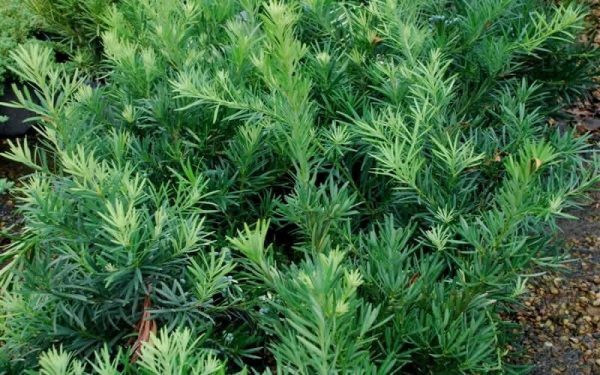 This lovely evergreen forms a spreading mound in the landscape and offers a refreshing touch of dark green throughout the year. 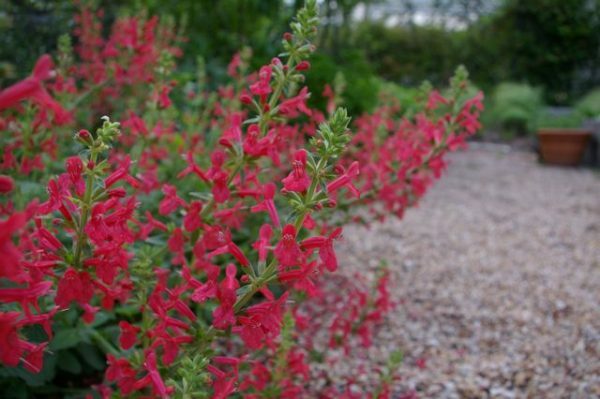 This adaptable plant grows in full sun or part shade, tolerates drought, heat and wet soil. If you have a large space that you need filled…Turks Cap is your choice! After it’s third year in the ground, Turks Cap can easily reach 5′ by 5′. It can take as many cut backs as you need and will keep reblooming until freeze. 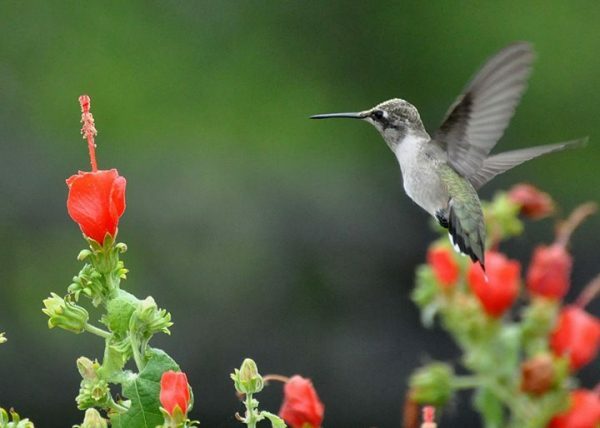 Hummingbirds not included…but if you plant it, they will come! This guy just works. Sun, shade, clay, sand…you name it and this guy will last until frost. Only gets about 1-2′ tall and roughly 3′ wide in the shade. It’s a late bloomer…but once it starts, it won’t stop until freeze. 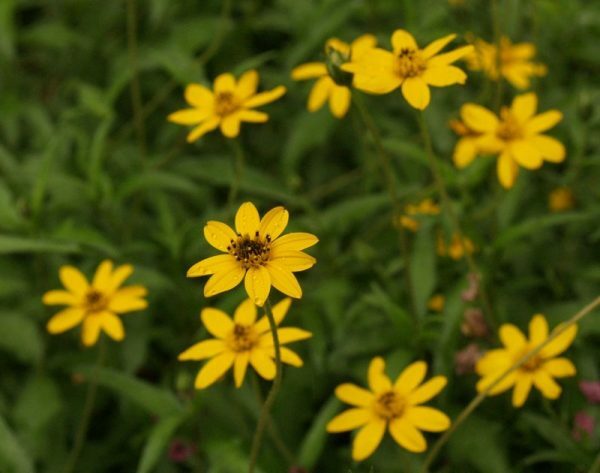 This native will give you some jaw dropping color, that will drive the pollinators crazy. Likes to stay on the dry side, so do not over water in our clay soil. Plays will with Zexmenia to form a nice border plant. This is just a small taste on what we have available in our seven acre plant & tree nursery. If you are looking for some help, take some pictures of the area you need help with and come talk it over with any of our great nursery staff. We did a 45 minute talk on shade gardening at the Frisco Public Library and we recorded it. You can watch the video by clicking here.